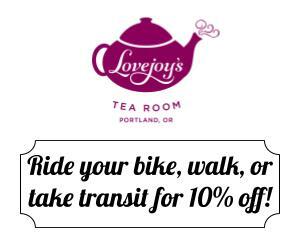 It might not be on your mental bike map of Portland, but I have a feeling it will be soon. 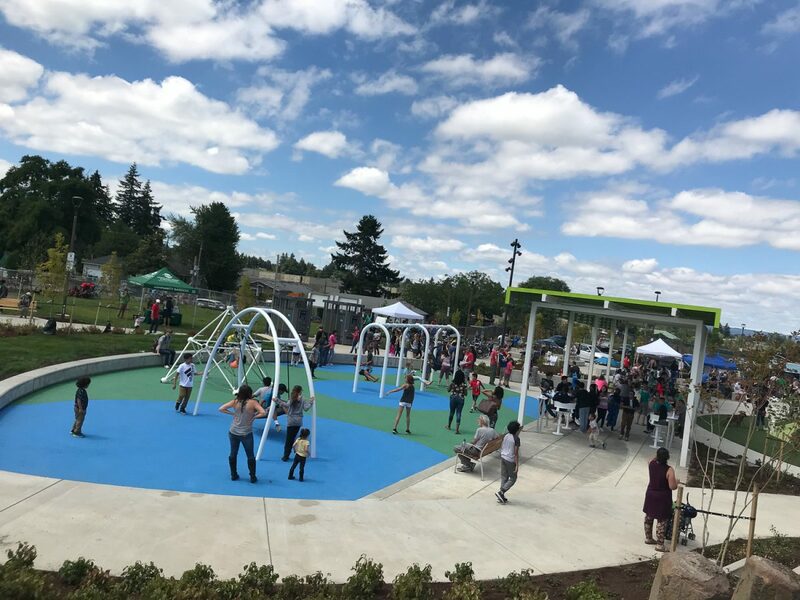 A former landfill between NE Columbia and Killingsworth at the end of 72nd Avenue is now Cully Park — a 25-acre expanse of feature-filled green space in a community that desperately needs it. 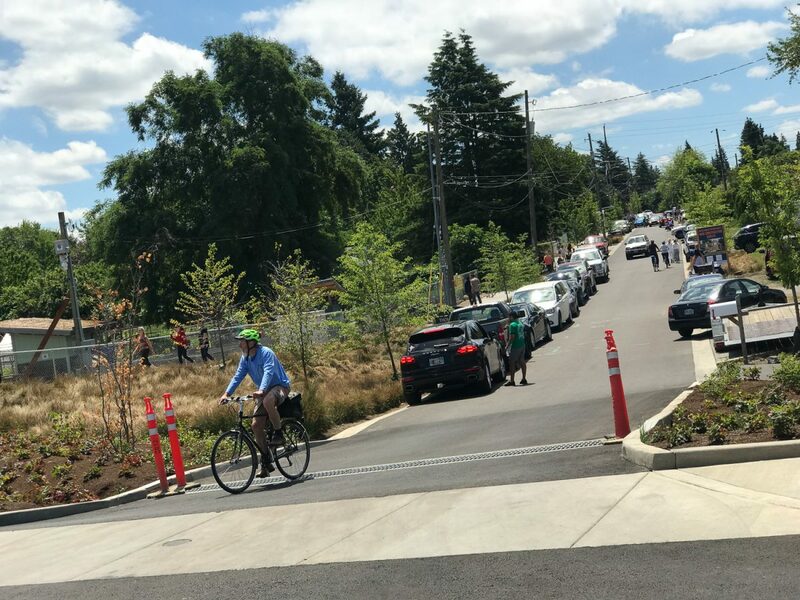 Cully Park is also a major new destination located where I’m almost certain none of you have biked to before because it’s at the end of a dead-end street and surrounded by intimidating, high-speed arterials. 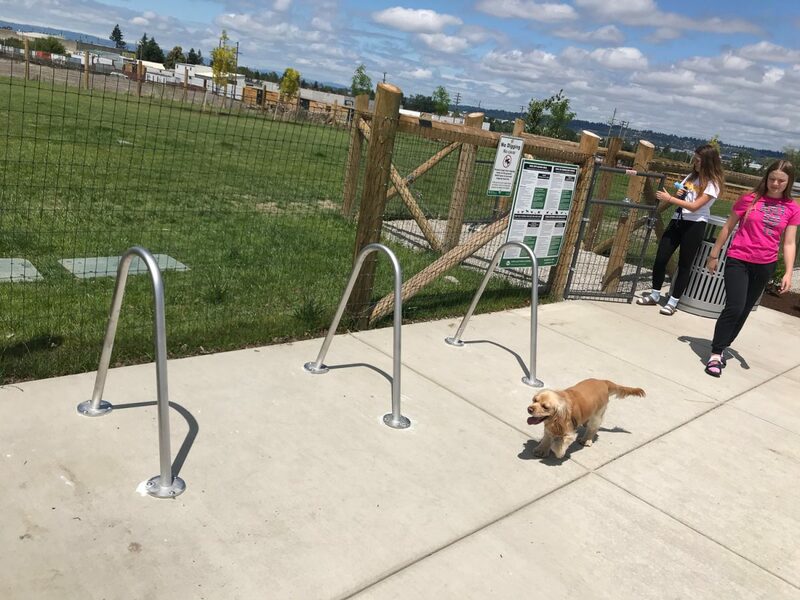 After spending time at the park’s grand opening celebration Saturday, I’m confident that’s going to change. 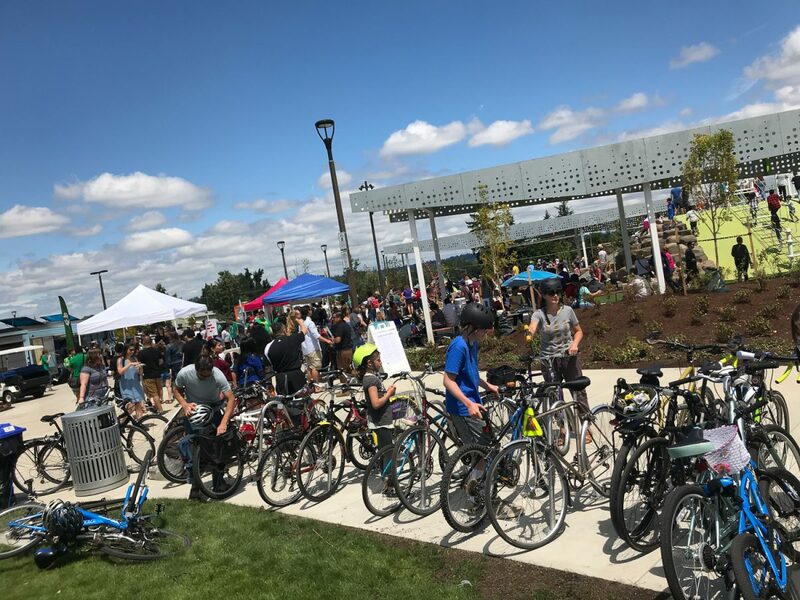 Eager to experience a world-class park in an area that’s not used to having them, hundreds of people streamed down the newly updated “green street” on 72nd Avenue on foot, in cars, and on bikes. Because on-site parking was limited, there was a crowded overflow parking lot, shuttles, and people who parked many blocks away just for the chance to be there. All the pent-up enthusiasm illustrates just how big of a deal this is for the surrounding neighborhoods. And what makes it even more special is that it was designed, funded, and built, people who live in the area. 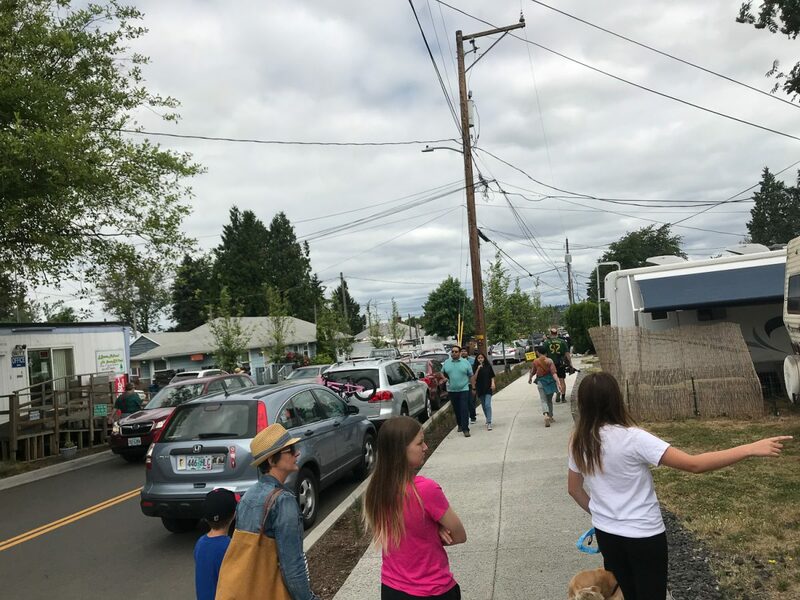 After acquiring the land in 2000 and completing a master plan in 2008, the City of Portland entered into a formal partnership with non-profit Verde NW in 2012. 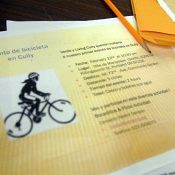 That partnership — which became the Let Us Build Cully Park campaign — allowed Verde to activate the community toward the vision of a new park. 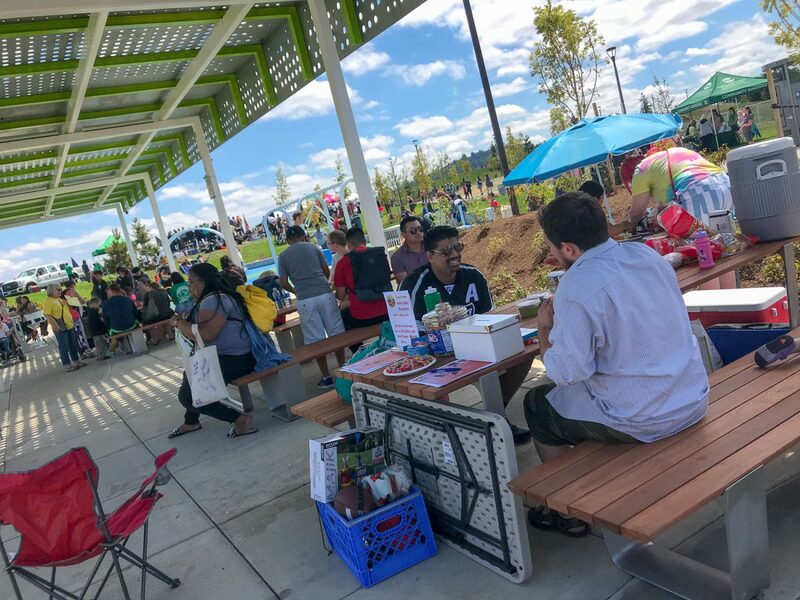 They reached deep into the community and not only asked people what they wanted from the park, but allowed them to actively take part in its development. And what an amazing job they did! 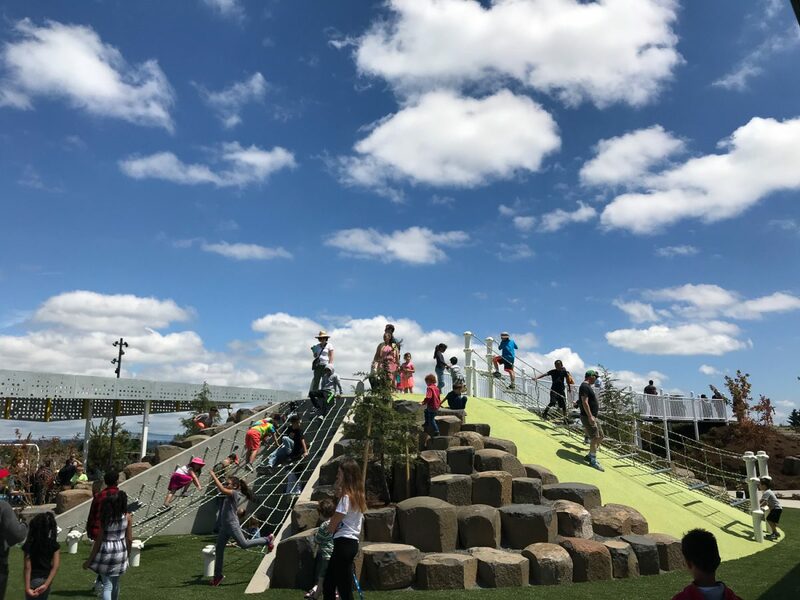 I had no prior knowledge of this park before Saturday and I was absolutely blown away by what I saw: the impressive play area with loads of covered seating to the sprawling and productive community garden, the new paths, the expansive views, the off-leash dog area, the huge ball fields, and much more. 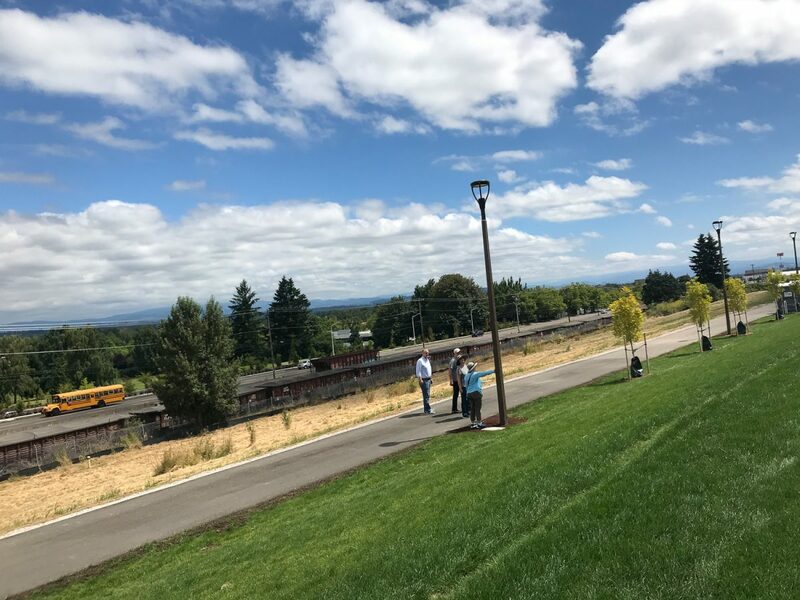 “No single organization, community or jurisdiction could have built this park alone, but together we transformed what was essentially a mountain of trash into a new asset for Cully, and for Portland,” said Verde’s Alan Hipólito in a statement. And that “we” includes a community with nearly twice the city average of people of color (53 percent) and twice the city average of residents whose income puts them below the poverty line (27 percent). Why am I gushing about this new park on a website devoted to cycling? Because a great cycling city needs great places to ride to. 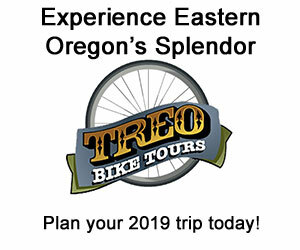 Imagine all the Pedalpalooza rides that will start/stop/end here. 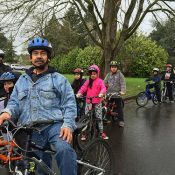 Imagine all the kids who will learn to bike here. Imagine all the picnics-by-bike people will have here! Now we need to upgrade the infrastructure around the park. Cully Park also matters because it’s located in a place in dire need of infrastructure updates. 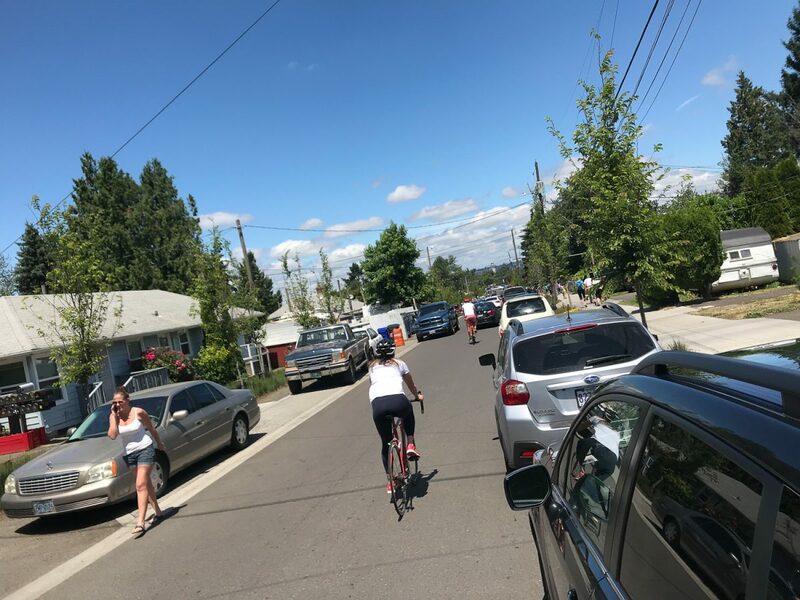 Thankfully PBOT already has plans to completely rebuild NE 72nd Avenue. It currently has no sidewalks or shoulder and people had to walk and bike in the middle of the road. 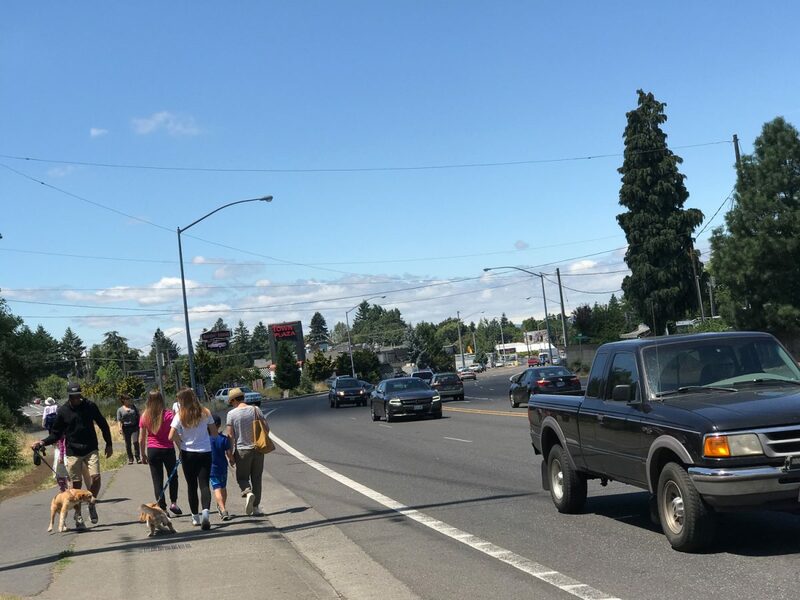 After 72nd is updated, much more help will be needed to tame Killingsworth’s wide, seven-lane cross-section. Standing in the park looking north toward Colwood Golf Course and the intersection of Columbia and Alderwood. A footbridge would create a valuable north-south connection. 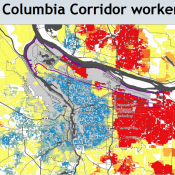 Another interesting infrastructure note is future access from the park north to Columbia Blvd. 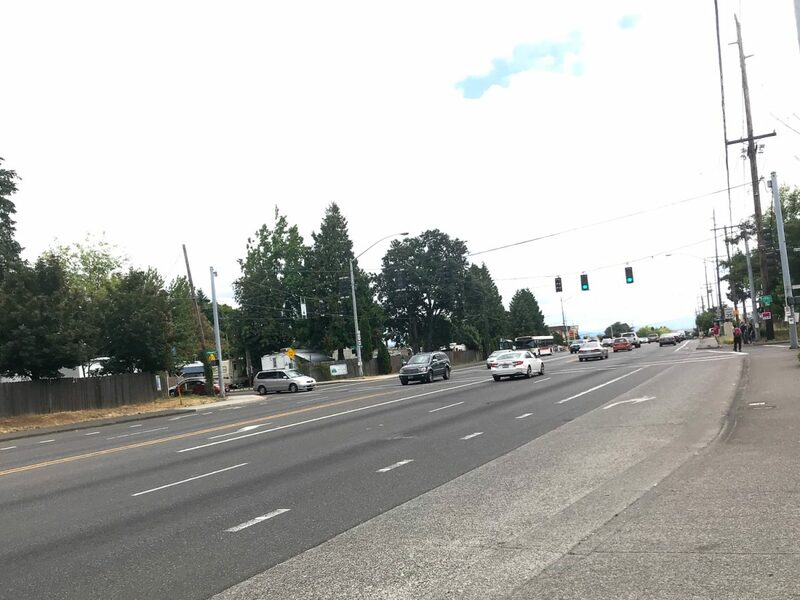 Right now there’s no connection, but I’ve heard through the grapevine that there’s interest in a footbridge over Columbia to connect to Colwood Golf Course and NE Alderwood (where PBOT recently installed a new traffic signal). 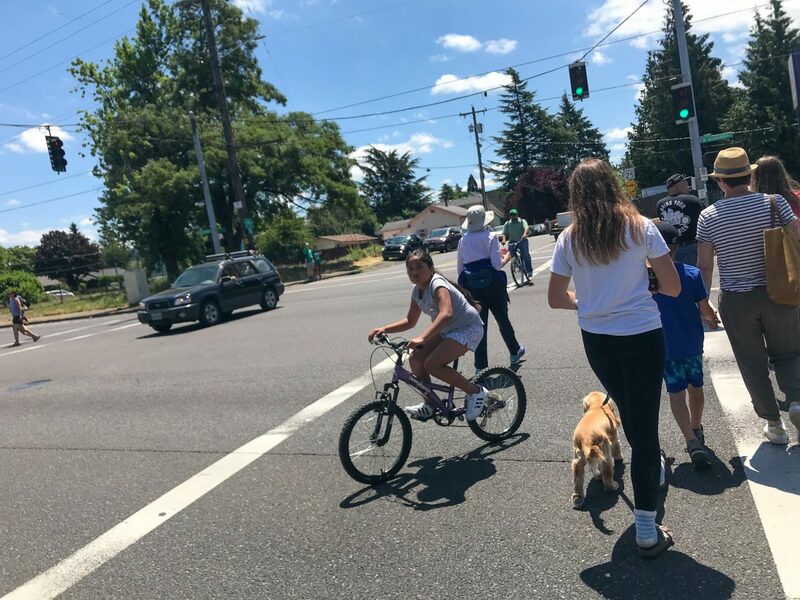 Once we make that connection the route could tie into improvements PBOT has planned for Cornfoot Road, a key bike route to the Portland Airport. 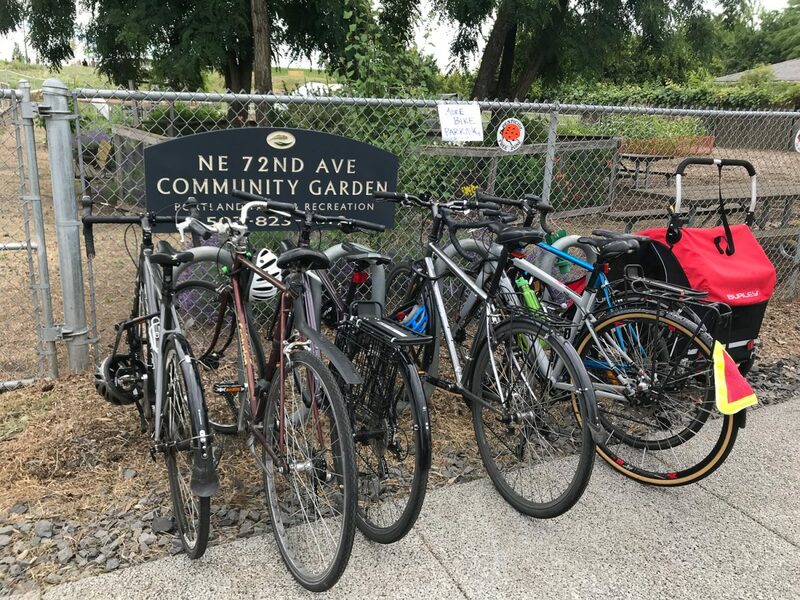 As we’ve all seen with Sunday Parkways, there’s a symbiotic relationship between cycling, community health, and great parks. 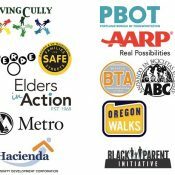 Huge respect to Verde, Living Cully, Portland Parks & Rec, and all the other volunteers and organizations that came together to make Cully Park happen! If you need an excuse to check out Cully Park in all its glory, put the Festival Latino on your calendar. It’s August 11th and promises a soccer tournament, free Zumba classes, live music, and a showing of Coco (in Spanish) on the big screen! I can’t believe the city built this park without updating 72nd avenue first. 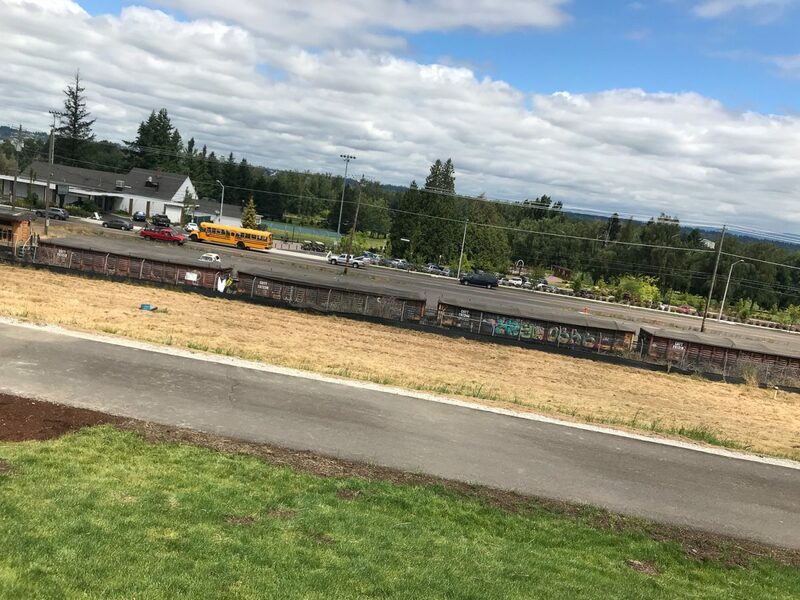 There will be a ton of kids going to the park and 72nd will be the main way that they go and the current configuration is very dangerous as people parking along the road force anyone walking on 72nd to walk out in the lane. I really hope we make it to the upgrade of the street without anyone being killed. Scary that they still have to run an active methane gas collection system to keep it up to code. That doesn’t feel safe to me, especially as a parent of a kid with slight asthma. It’s covered by 30 mil plastic, with collection beneath. You probably get more methane coming from your compost pile than whatever trace amount leaks through the professionally engineered and managed system at the park. Your comment is on the mark – the park developers took painstaking efforts to protect and maintain the integrity of the bio-gas collection system at this landfill. The gas production for this site is waning and will eventually cease once the landfill runs out of water or biodegradable material. I believe Metro staff monitor the gas production on a monthly basis. However, in this post-fact, post-science world that we are currently living in, I feel compelled to point out the inaccuracy in your comment. Methane gas is a byproduct of anaerobic digestion (ie capped landfills and cow’s stomachs). Your backyard compost is most likely an aerobic system that produces heat through through the decomposition process instead of methane. As far as asthma is concerned, I think the active railroad line and busy trucking corridors nearby would be a bigger concern. ^^^these guys are spot on. As I was standing there Saturday, taking in the blue skies and view of the gorge and Mt. Hood off in the distance, I was thinking “I’m probably going to get a sunburn.” Then, when the Timbers scored and people were cheering, I was like “be quiet! You’re all being too loud!” It started to get to me, but then I realized there’s no point since we’re all going to grow old and die someday. Soccer is totally pointless. You’re absolutely right. That was the point you were trying to make yeah? There’s a viewing platform at the park that looks like the start of a bridge. Will that someday be extended into the new footbridge you mentioned?